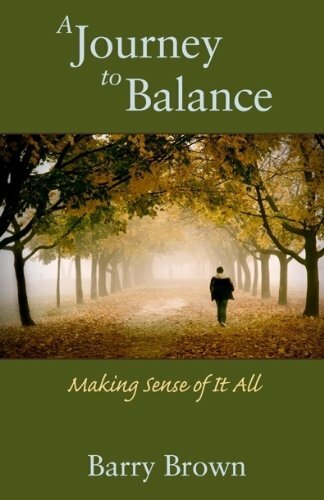 Barry Brown will be signing copies of his book, “A Journey to Balance” in VA next month. Barry Brown plays golf and chess in his spare time and also enjoys shooting pool. He loves vacationing in Myrtle Beach and Nags Head. When he’s not writing, he can be found working in his vegetable garden, growing organic crops. Some days you can catch him home-brewing his favorite beer and/or making some wine. He lives with his wife and two children near Charlottesville, Virginia, only forty minutes from the Blue Ridge Mountains. This book is about taking a journey into the self. It is about walking a path unrestricted by the world’s opinions about right and wrong. A knowing that whatever happens in your life is happening for a reason and rarely by chance. You have within yourself all you need to be happy and content. The goal in this life is to find that inner truth we are all born with. There is a balance in nature if we only look . . . if you want to live in harmony with nature, then it is up to you to find your own unique equilibrium. The way is through your feelings, your emotions, and your intuitions. Once you begin to take time to ask, “Why do I feel this way?” you have taken the first step on nature’s path. Change is balance. Balance is dynamic; it’s living life to its fullest and allowing change if and when boredom ever comes for a visit.